My first year of homeschooling my oldest boy has come to an end. Well, sort of… it never really ends, does it? That last one always makes me laugh. Just talk to my son… my patience is,… well let’s just say a work in progress. Ironically, I always thought of myself as a patient person, until I had children. They really are humbling little creatures, aren’t they? However, I have learned over time, you don’t have to be patient to homeschool, but you do have to be willing to continuously learn and grow yourself. You have to be willing to try and do your best. And if you fail one day, you have to be willing to try again tomorrow. But that’s just my experience. 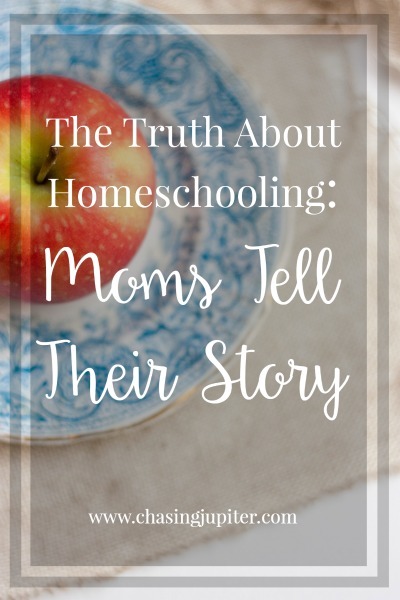 Through this reflection, and considering the many myths surrounding homeschooling, I decided to ask other homeschooling moms about their own experience with homeschooling. I never imagined just how much encouragement and the sense of community I would gain through this seemingly simple discussion. I discovered just how similar we all really are, even those of us on the other side of the world. I am so thankful to the wonderful ladies who chose to participate and take time out their busy schedules to respond. Many who have been homeschooling multiple children for years. Who have been making the same choice I have, day after day, year after year. There was such a terrific response to my questions, that I will be introducing multiple homeschooling moms in three different posts over the next few days. So if you’re considering homeschooling this fall, or just a homeschool mom yourself needing some encouragement (don’t we all!? ), keep reading! To start things off, I would like to introduce Courtney, homeschooling mom of four. 1. What is your favourite thing about homeschooling? Last week the kids wanted to do the erupting volcano thing with the vinegar and baking soda. I quietly sat back watching them read instructions and follow directions to eventually produce the successful result intended. The look in their eyes and the gasps of excitement when it worked is my favorite thing about homeschooling. All of the accomplishments, breakthroughs, and ideas are all mine to witness and that is my absolute favorite. Math. Sweet children, I’m sorry that you forgot to borrow during subtraction one time in the six digit problem you’re working on making all of the subsequent numbers incorrect, but math is cruel sometimes and we gotta do what we gotta do. 3. Anything unexpected that came with homeschooling? I completely designed our homeschool to be quaint and tidy and timely and very school like. I had no idea I would take all of those things and give them to the wind as we progressed and truly learned how our education thrives. This way is so much more adventurous and exciting than anything I could have ever required of them in their neat little schoolroom desks. I didn’t see that coming, but I am oh so glad it came. Visit Courtney over at her website, Likely Learned and don’t forget to follow along with her beautiful family on Instagram, @courtneykeb . 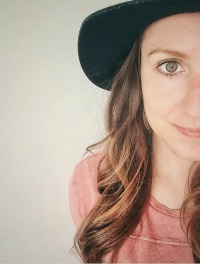 Below, see what Arielle had to say about homeschooling her three young children in the USA. I would have to say, one of my favorite things about homeschooling is the freedom it brings. Through that freedom, we can move at the pace that each of our children needs. We can explore and investigate topics of interest. We can instill the love of life-long learning in our children, through our day to day life. What is your least favorite thing about homeschooling? Being able to homeschool my children is a blessing but I think if I had to choose, my least favorite aspect it would be the feeling of pressure. The feeling of pressure isn’t always lurking but it’s definitely felt at times. The pressure of my children’s education. Am I doing the right things? Am I giving them the tools they need? Although in those moments, I’ve learned to trust your gut and follow your heart. Being homeschooled myself, as a child I remember looking through curriculum catalogs. From that, I knew there was a large number of curriculum choices. Years later I’m now a homeschool mom myself. I had a plan of which curriculum I was going to use. I had the knowledge of my own mother, and the knowledge of research I had done. 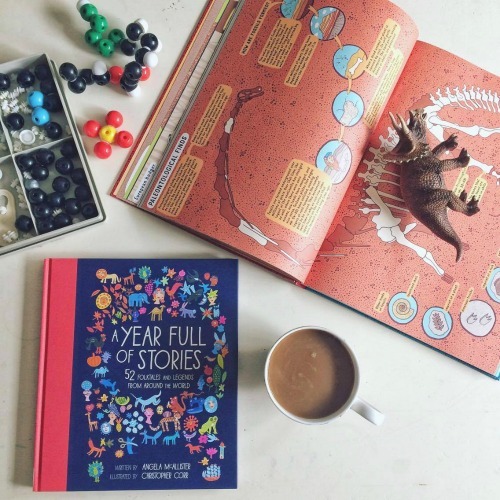 I purchased the curriculum and started using it. My children didn’t respond to it and started to withdraw from wanting to learn. I knew in my heart it wasn’t the right fit for us. I went back to the drawing board and discovered a whole new world of curriculum I had never even heard of. The discovery opened so many new doors which was unexpected along with overwhelming. Through our journey so far, I have realized that we are always evolving. Our rhythms and curriculums need to be revised which is ok. Children absorb everything around them, therefore I believe that loving, living and learning is more important than trying to find the “perfect” curriculum. Follow Arielle on Instagram, @our_enchanted_journey. The pictures of her and her family out exploring nature are absolutely beautiful and inspiring. Take a look!